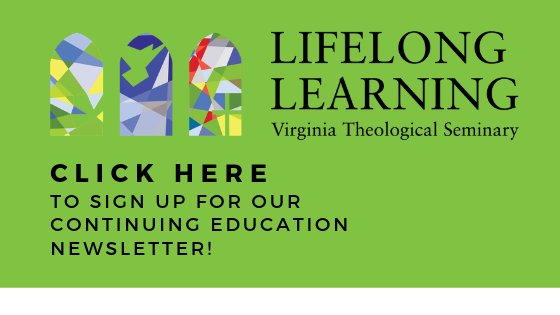 At Virginia Seminary, theological education for both clergy and laity is considered a lifelong project. VTS was one of the first Episcopal seminaries to offer continuing education for clergy. The Lifelong Learning office hosts wide-ranging, innovative continuing education programs in service to the church and world. For information about our evening continuing education courses, please go to our Evening Courses page. To find out about upcoming lectures, webinars, and other programs, please go to our Events page. To register for a masters level class as an auditor, please visit our Auditors Program page. For general information about continuing education at VTS, please visitor our Information page.